Moodle is a software that allows user to develop internet based courses. Moodle stands for Modular Object-Oriented Dynamic Learning Environment. Moodles is licensed under the GNY Public License. 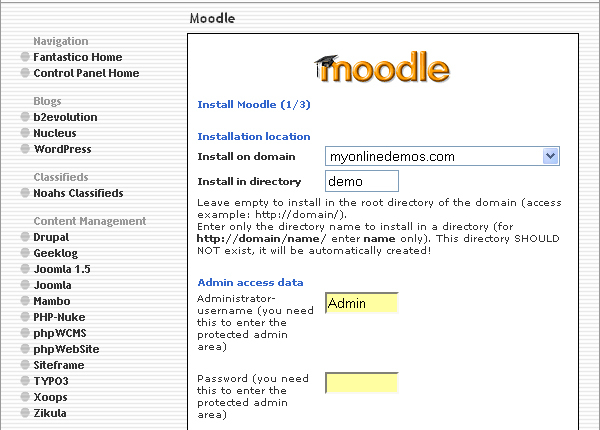 Moodle is a copyrighted software. Despite that, users can copy and modify it provided that they are passing on the software to other people. Users are not allowed to change or remove the original copyrights. Moodle is suitable for use as online classes for a course. Moodles is professional, and have a low tech browser interface. Moodles shows the full description of the entire course offered. The course can be categorized and search. Moodle can supports thousands of courses. It is also safe and secure to use as all forms are checked, and cookies are encrypted. 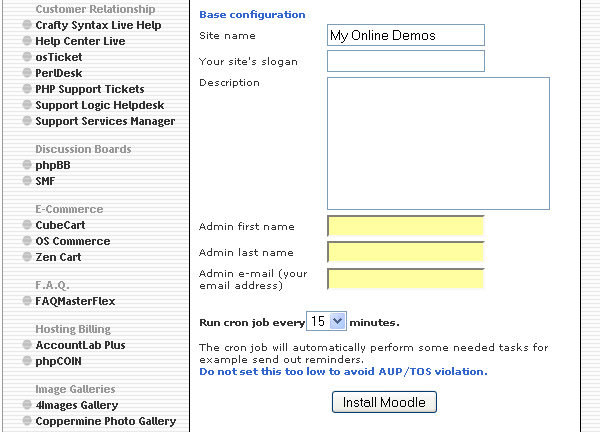 The Moodle administration panel can only be accessed by an administrator user. There are several plugin themes which the administrator can use to change the color, font family, and layout of the website according to their needs. Moodle supports over 70 languages to suit your local needs. 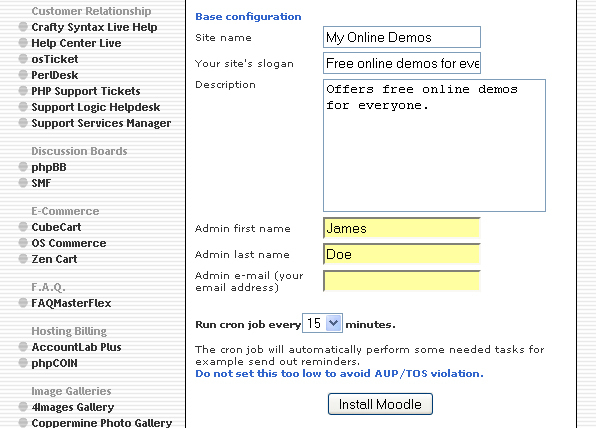 Through Moodle, students can create a login account. 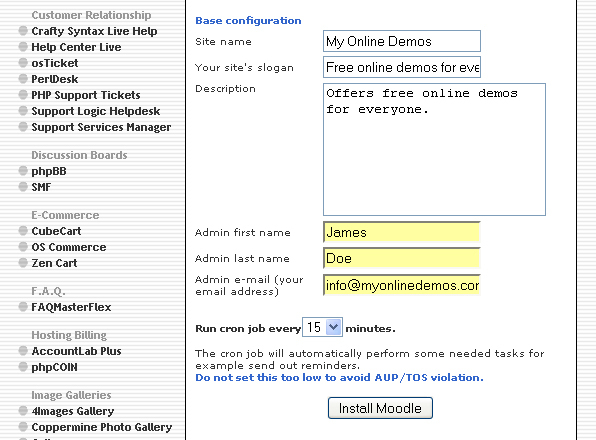 Upon creating the login account, Moodle will automatically send a confirmation to the email address provided. Students can also create their online profile by including their photos, and brief biography. They can also choose to have their email address not display to other students. Every uses have the option to choose the timezone of their location. The timezone they have set will reflect in their posting and assignment due dates. Students can also choose from a large selection of languages to display on the Moodle interface. Click on Moodle in the Other Scripts section on the left Navigation bar. Select the domain from the drop down menu. 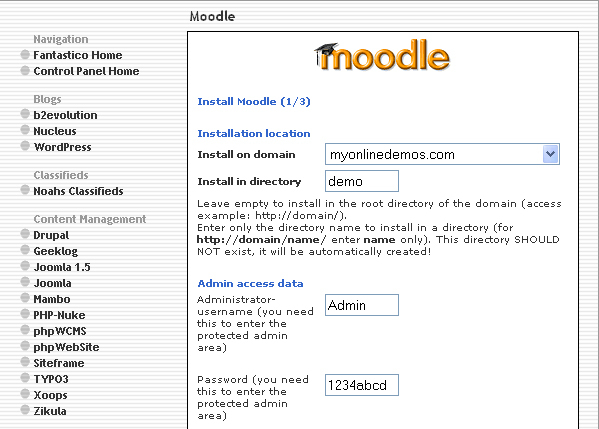 Enter the name of the directory where you want to install Moodle in the Install in directory textbox. If you want to install it on the homepage, leave the textbox empty. Enter the username in the Administrator username textbox. Enter the name of the website in the Site name text box. Enter the slogan of the website in the Your site’s slogan textbox. Enter your first name in the Admin first name. Enter your last name in the Admin last name. Enter an email address in the Admin e-mail textbox. 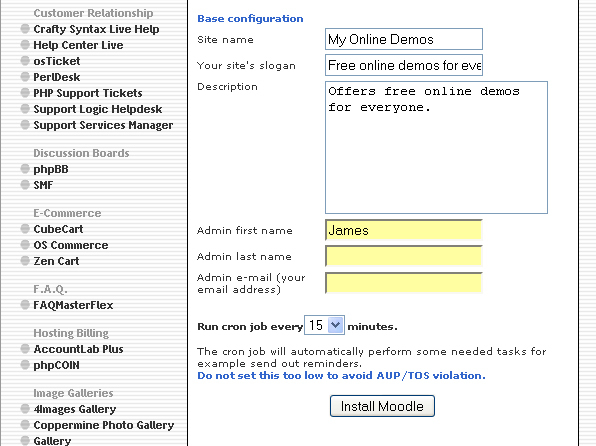 Click the Install Moodle button. 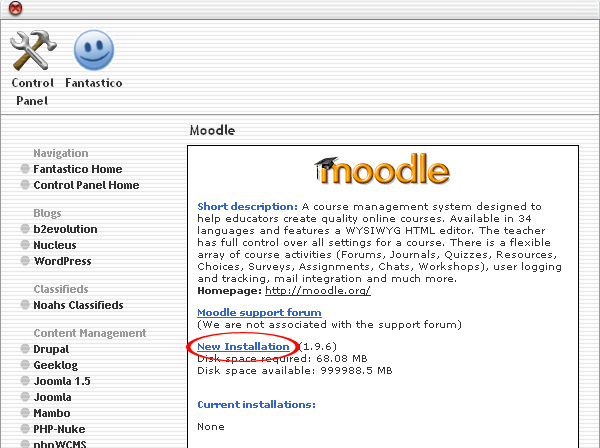 Moodle is now successfully installed. 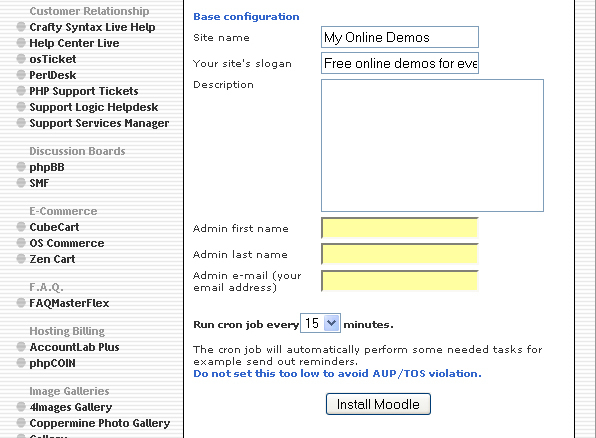 By following the guidelines above, users will be able to install Moodle on their website.